I don’t know about anyone else but there are times that I move away from a TV series for various reasons but when I come back to it, I wonder it’s been so long since I had last watched it. Only Fools and Horses is certainly one of those series for me. I think I have been pretty lucky with how I came across this series. Obviously I am in the US and in the mid-1990s I was on the lookout for UK series I have never seen before. I was one of a limited number of people around with a PAL TV and VCR. A friend of mine had a Dad who fondly remembered Only Fools and Horses. I am not quite sure why as I don’t think he lived in the UK but perhaps my memory was failing. So, my friend decided that he would purchase the series (on PAL VHS at that point) and asked if I would convert the tapes to NTSC, then I could keep the PAL originals. Yes, there were a lot of tapes but I wanted to get into it and check it out. A good decision on my part. I started to watch it from the beginning of the series. I found it OK and mildly funny but I really didn’t give it much thought until I watched Friday the 14th from Series 3. Clearly, I wasn’t paying attention too closely when I was watching it originally because there are so many amazing episodes prior to that one. Pretty much all of them are good. Have you ever watched a series where you have been watching it for a while and suddenly it just clicks with you? That was what I found with Only Fools and Horses. In fact once I got to that point, I couldn’t stop watching it. I started to make these conversions faster and faster because I couldn’t wait to see the next episode. When I finally got to the end of the series, which at that point was the 1996 trilogy, I thought it had a proper finale. Even though I had seen all of the episodes, I would watch the tapes over and over. The comedy was so well written and if there was drama, it was appropriate and handled delicately. Then, I almost un-loved the series. Even though the series, in my opinion, had a perfect ending it came back in 2001. There were a lot of reasons why this annoyed me. Most importantly two important actors had passed away since 1996. Also, the show was starting to get a little too clever for its own good. When I say a series is getting too clever, I mean that this series starts to do what everyone expects and no longer is doing anything different or new. 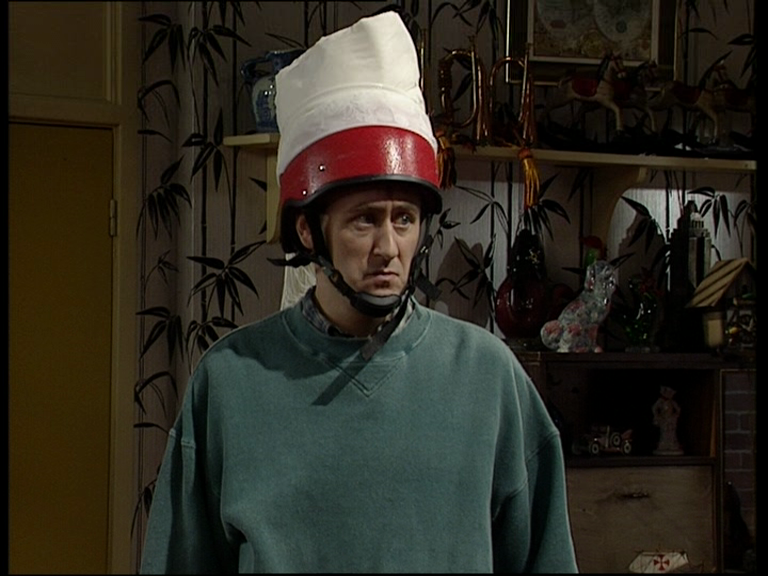 A series like Only Fools and Horses deserved to be written better. The first special since the return in 2001, If They Could See Us Now…. really turned me off of the series. When the second special came out, Strangers on the Shore, I stopped caring altogether. 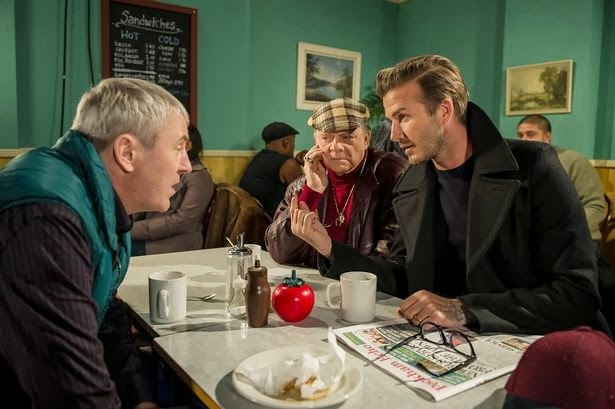 When John Sullivan said in an interview that the second special was returning to classic Only Fools and Horses comedy, I knew it was too late for the series. It confirmed that the series strayed too far from what it made it so endearing for all of those years. Not only did it get me to not want to see the third (final?) special but it actually soured me on the whole series. It’s ridiculous but it’s almost like I was in an argument with a TV series and this is where we make amends. It’s pretty embarrassing that I have forgotten so many of the characters and situations when I started to watch this episode. This episode is the second from what was hailed as the final trilogy to the series. The three episodes are loosely connected. From the moment that the familiar theme music started up and that classic title sequence, I felt at home again. There were truly moments that characters would pop up and my heart would melt because I haven’t seen them in so long. Uncle Albert telling stories about what was happening during the war, Mike the Landlord at the Nagshead, and of course Trigger. I actually exclaimed, Trigger! How could I forget Trigger? He is one of the best written comedy characters played of all time. So underrated yet often having the best punch line to the joke. I watched this before Roger Lloyd-Pack passed away. I had no idea he would be leaving us so soon. The episode itself starts out with word that Rodney and his wife Cassandra are expecting a child. This is amazing news for them especially as a lot of the episodes from the 1990s dealt with a rough relationship with those two. They found their way and were now expecting their first child. There is a lot of celebrating amongst everyone about this. Obviously there will be the jokes about how Rodney had it in him and all of that. There is a great moment in the Nag’s Head (which is the local) where pretty much the whole cast is present to celebrate the happy occasion. I cherish this scene. There isn’t much more of these type of scenes left in the series and when the show came back in 2001, this sort of scene would have been impossible to do. There is Uncle Albert playing the piano with all sorts of old songs from a bygone era. There is Boyce, Denzil (another amazing character I forgot about), sitting at the table with Del, Rodney, Cassandra and Raquel having fun. Mike is trying to get Del to pay for his drinks but Del wants to pay with shoddy merchandise instead, Mickey trying to one-up Rodney and Trigger just being dumb. Del has this funny trick to trying to get out of paying for his drinks by doing a hand trick with Mike. He tells Mike that he can make Mike turn his hands over without touching him. He tells Mike to hold out his hands, which Mike does, and Del looks at him and says “No. The other way.” and Mike simply turns his hands over. There you have it; he turned them over without touching them. So when Rodney goes up to buy the next round, Trigger (who saw Del do the trick) bets Rodney £5 that he can make Rodney turn his hands over too. Trigger then plays the trick perfectly on Rodney only to then give Rodney £5 instead of collecting it from Rodney! What a plonker! There were a lot of themes and moments in this episode which I truly enjoyed. 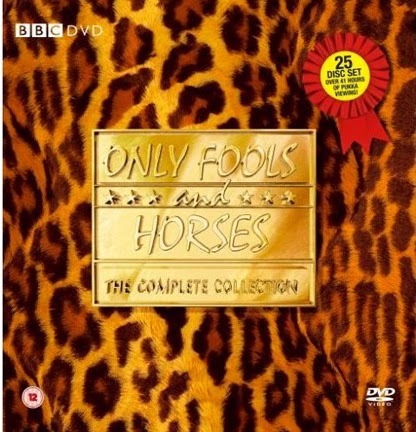 The last Only Fools and Horses I had watched generally had been the new post 2000 episodes. What I liked about this was being reminded how badly they were off with money. The crap that Del would try and sell which would even sometimes, amusingly, injure his friends. There is a hairdryer in this episode which burns Mike’s scalp. There is towards the end of the episode a bike helmet fitted to benefit Indians who wear a hijab. It is kind of insulting but it is also highly hilarious. It is hilarious because of how ignorant Del is but how honest he is to think it will catch on. Del wanted to call it The Turbanator. In the later episodes when the series come back, we have these same type of gags but I just don’t think they are as sincere as they are here or in the original run of the series. 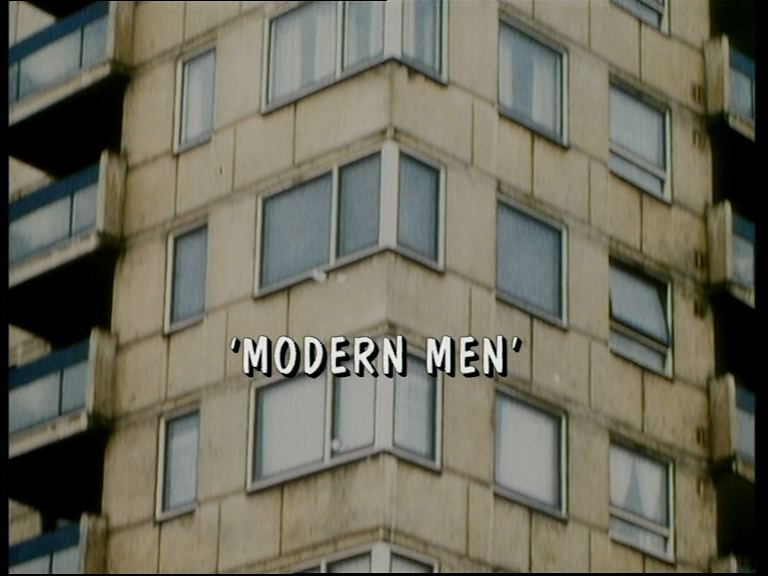 The whole point of the episode is the idea of the Modern Man which the title is taken from for this episode. 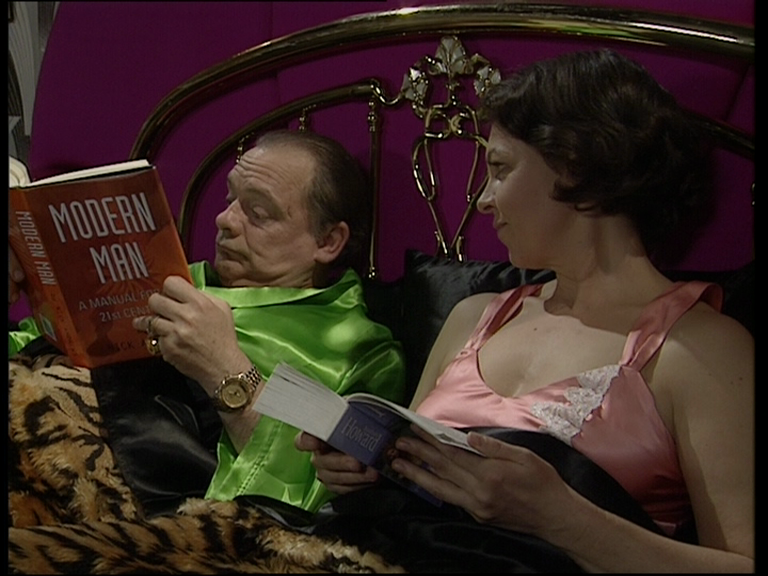 Del is reading a book about the modern man and how he should act. This is very much in character as Del is all about trying to portray himself in a certain way. He spent most of the 1990s wanting to give people the impression he was a yuppie but really had no idea on what that meant! Part of being a modern man is being responsible. He feels he needs to be responsible to Raquel and decides that means he should get a vasectomy. This scene takes place in their bedroom. It is fun to watch because there is a naïve sweetness to the character of Del Trotter and it really shows here. In fact, there are a couple of time where it looks like David Jason and Tessa Peake-Jones are going to crack up at any moment. It’s really fun to watch. Within that scene we move on to Raquel suggesting that Del ease up on Rodney a little bit. Make it so he can have some help especially with a child on the way. We find out that Del is already way ahead of her as he had put an ad in the paper for some help. Rodney on the other hand is looking to possibly getting another job as he feels his career is going nowhere under the Del Trotter regime. 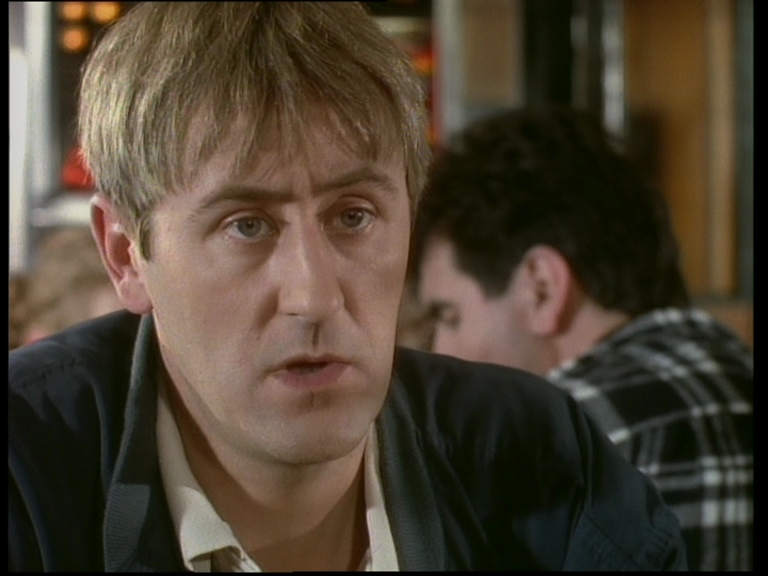 He searches the paper and finds an ad for a company that is global and is looking for someone with the same skills that Rodney possess. Rodney picks up Del’s house phone and calls this company. Meanwhile, in Del’s room, Del’s cell phone rings. He gets Raquel to pick it up and answer in a professional receptionist voice only to hear Rodney on the other end inquiring about this cool company. Del decides to have fun with this and answers in a thick Welsh accent. I wouldn’t do the gag justice here but it is pretty funny if not going on for a tad too long. Finally, Rodney realizes it is Del and thinks Del is trying to replace him. Nothing could be further from the truth and instead Del has a great idea to get his little brother a better position within the company. It actually fires Rodney up and he is super excited about what can be achieved with the company. To celebrate, the Trotters go to Sid’s café and have a fry up. I am such a foodie. I love the idea of a fry up and I have done my own over here on occasion. Fry ups have eggs, bacon, sausage, perhaps baked beans, and tomatoes. Not very good for you if consumed often but they appear to be consumed quite often in Only Fools and Horses. I love seeing food in TV series and I enjoyed this scene. 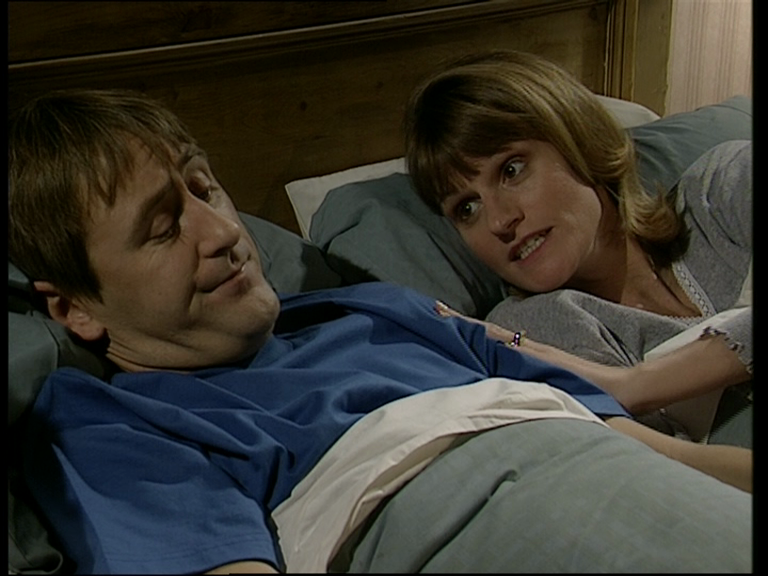 I also enjoyed this because Del confines to Rodney that he is thinking about getting a vasectomy. He ends with telling Rodney not to tell anyone. As they leave, Rodney goes straight up to Sid to tell him Del is getting a vasectomy and as soon as he leaves Sid announces it to the whole diner. Something John Sullivan had always done well was to create a simple and effective way to combine comedy and drama. As the episode starts with the pure excitement of the next chapter of Rodney and Cassandra’s life, Rodney gets a call at Del’s house and finds out that Cassandra had a miss-carriage. They lost their baby. Rodney and Del race down to the hospital. 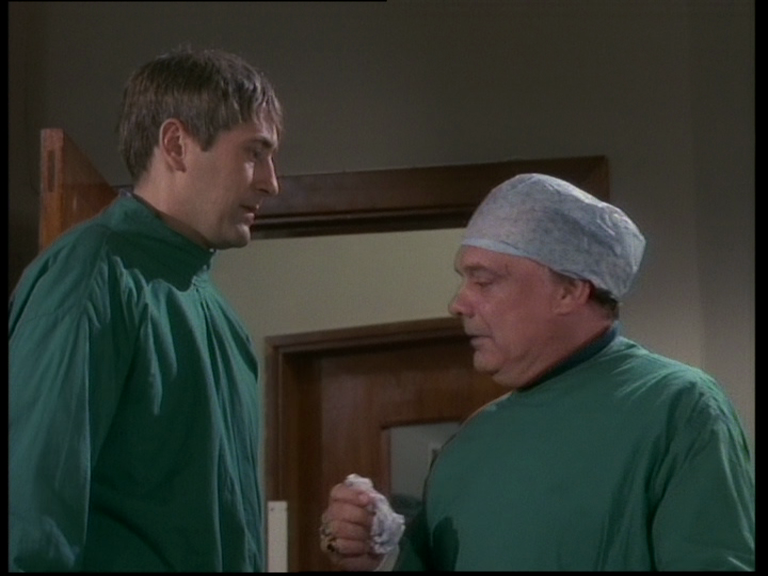 Once they are there, the nursing staff mistakes Del as the father and gets him into the scrubs and keeps addressing him while Rodney is trailing behind. It is a simple comic expression which immediately lightens the mood. Once that is all sorted out, Rodney stops Del and tells him in all honesty that he can’t handle seeing Cassandra like this. He doesn’t know what to say or do to console her. Del tells him to be the strongest person he can be because she needs him. Do not shed a tear. They walk into Cassandra’s hospital room and before anyone can say anything, Del uncontrollably bursts into tears. He can’t stop! It’s sweet and once again really breaks down the tension. The final act of breaking down tension occurs when Del takes care of one of the people waiting in the reception area of the hospital. Before Del and Rodney arrive, there is a belligerent drunk who demands he gets seen before anyone else and is being rude to the nurses. As he is still drunkenly yelling insults, Del come out still in his scrubs and punches him out and walks away. This guys was punched into sobriety and instantly behaves thinking that was a doctor. It has been a while since I have seen these characters in action. I had forgotten how Del spoke. Using slang, he would call things differently than they really were. Such as calling peanuts “Dry Roasted” or a coronary a Connery. I somehow forgot that Trigger would always call Rodney “Dave”. There is no reason for it. 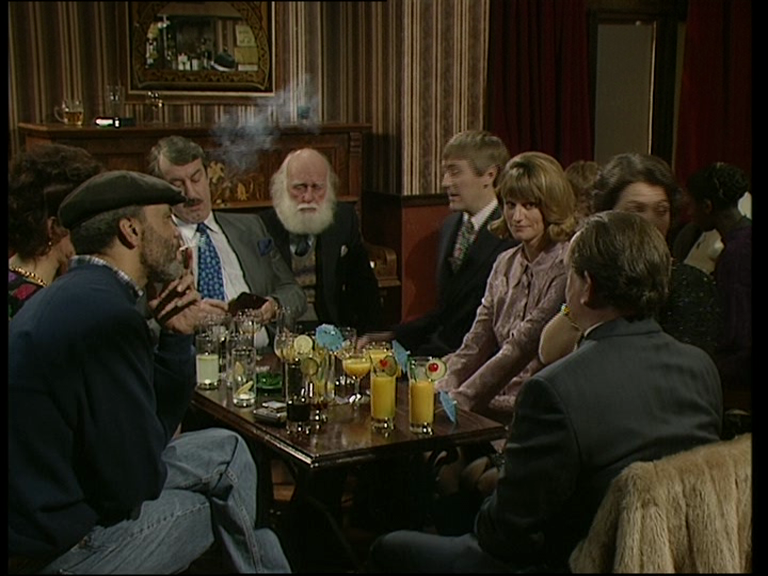 When everyone proposes a toast to Cassandra and Rodney at the Nag’s Head, when they say Rodney’s name you can hear Trigger in the background say Dave! I also forgot how Rodney thought Damien (Del’s son) really was Damien from The Omen. Damien had no special powers but every time he would appear, Rodney’s eyes would get big and he would hear the theme from The Omen. I always laughed at it. This past Christmas, a brand new episode of Open All Hours aired and was called Still Open All Hours starring David Jason. The last episode aired was in 1985. I will watch it but have yet to do so. I am in no hurry. There is also talk of an all new episode of Only Fools and Horses. Even though John Sullivan passed away, his sons were looking to make a new episode. We then found out that wasn’t quite true and that the new episode may only have been a skit for Sports Relief because it could give high visibility to the charity. John Sullivan’s sons were adamant that they would not dare resurrect the series. That being said, it looks like it may have been produced with David Beckham appearing in it. As for myself, luck hit me twice. I never had to pay for the PAL VHS releases of the series and I was very fortunate to not have to pay for the DVDs either. A friend of mine (Mike) had a second set of the entire DVD set which is twenty-some discs. He sent it to me which was really cool. It sort of like history repeating itself. 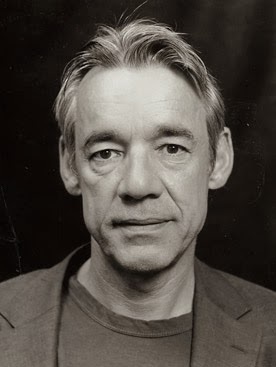 Sadly, after I watched the episode, we were hit with the sad news of the death of Roger Lloyd-Pack. He played Trigger pitch-perfect. Everything I have seen him in was truly memorable. Roger was only 69. He was way too young to go and he will be missed. I am sorry to say this but I hope never to see anything new of Only Fools and Horses because everything that makes it unique is now gone from it. I want to remember it for the truly funny and sweet series that it was…..from 1981 to 1996. Next week: I will be publishing the final regular 50WHO article which is happening a month later than I planned but I really think it was worth the wait. I have spent the last year writing one article on each of the Doctors and a story of theirs that meant a lot to me for my own personal reasons. Next week I will publish an article on how I worked with Ian Levine to animate the incomplete Tom Baker story and how we had plans to go beyond it into The Reign of Terror and other stories. Next week, I publish an article titled, Animating Shada. The not-quite-final trilogy really was great television, and it should have been the end. I actually completed watching the entire run recently and reconfirmed that the weakest episodes were a handful of the earlier Christmas Specials like Miami Twice and the 2001-3 final trio. As for the friend's father, he was in the Air Force and stationed in the UK, which is how he came to originally see the episodes. Small comment, but thought I'd mention... it is actually a Welsh accent he's attempting. Thanks for letting me know. I have corrected the article. Dave: Thanks for reminding me about the circumstances of how he had seen Only Fools and Horses. What boggles me is the various cuts in the DVD's and the apparent differences between the cut US version and the cut UK version. I am not sure of the different cuts between the two countries. I think music rights play into it though most of the popular music was taken out of the R2 version too. Do you have the R1 set? My questions would be about Miami Twice, is this presented in it's original two part version or is it presented as 1 piece movie version as it is on the R2 set?